Brand: Bachmann Trains | Manufacturer: Bachmann Industries Inc.
Warranty: 90 Day Warranty - Warranty information can be found at www.bachmanntrains.com Click on Service department tab. It's almost your turn to put on the sorting hat and determine your Hogwarts house. 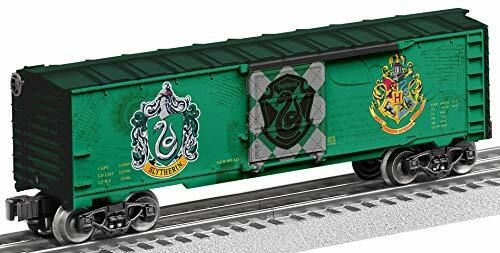 are you Gryffindor, Raven claw, Hufflepuff, or Slytherin?? the new school year at Hogwarts school of Witchcraft and Wizardry is about to begin. 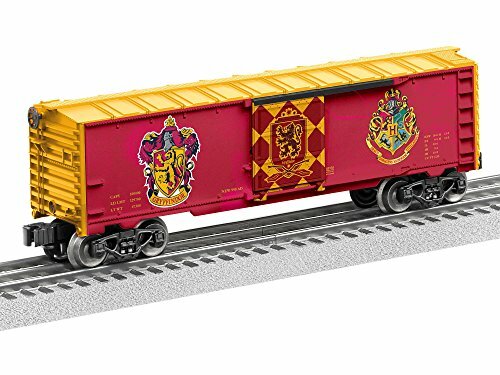 pre-order your collectible Hogwarts houses boxcars today. Boxcar - ready to run new York central. Colorful, realistic paint scheme. Fully assembled with durable molded details. Clean track keeps your railroad running smoothly! 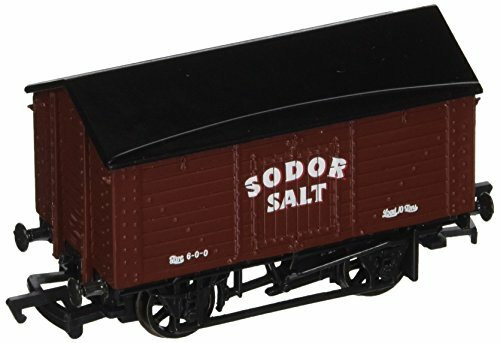 Keep your rails clean and electrically conductive with this track cleaning boxcar. Simply run this car as part of your train and its mildly abrasive track cleaner pad will polish the railhead for reliable electrical pickup for your locos and lighted cars. 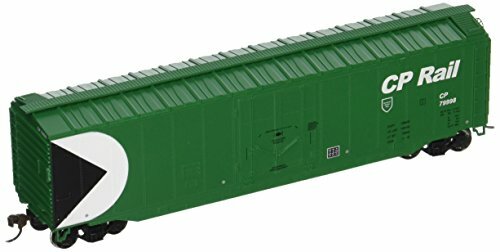 Trainline freight cars feature RP-25 metal wheels for superior performance on all kinds of Code 70 and larger HO Scale track. 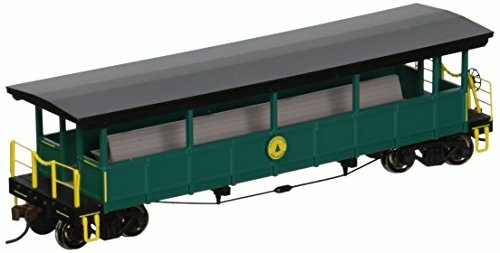 With their added weight and wheel tread matched to National Model Railroad Association (NMRA) standards, wheels on Trainline cars are perfect for every HO railroad. Other features include molded details that stand up to handling during operation, realistic paint schemes for good looks and body-mounted magnetic knuckle couplers for reliable performance. 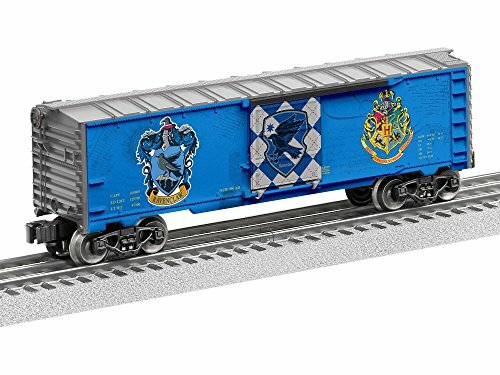 Keep your train set or layout's rails clean and shiny with this car! Simply run it as part of your train and the spring loaded Bright Boy soft abrasive pad will polish your rails for electrical reliability. This car features free-rolling wheels with RP25 contour, strong metal axles and magnetic knuckle couplers. The Chesapeake & Ohio served the eastern seaboard as well as the great Midwestern States. One of the United States' strongest railroads, during WWII Chesapeake & Ohio carried coal, which directly contributed to helping the Economy grow. After the War, the railroad continued to strengthen as the C & O expanded their payload from mainly coal to general freight. 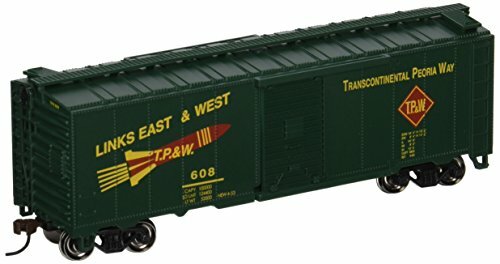 50' Plug-Door Box Car - PRR - HO Scale. Silver Series rolling stock features: blackened metal wheels, body mounted couplers, non-magnetic axles. SPIRIT OF THE UNION PACIFIC ROAD NUMBER #1942 Features: Intricately Detailed Durable ABS Body Metal Wheels and Axles Die-Cast 4-Wheel Trucks Operating Die-Cast Metal Couplers Colorful, Attractive Paint Schemes Decorative Brake Wheels Opening Car Doors Separate Metal Handrails Fast-Angle Wheel Sets Needle-Point Axles Unit Measures:11 1/4" x 2 9/16" x 3 17/16" Operates On O-27 Curves WARNING: CHOKING HAZARD - SMALL PARTS! NOT INTENDED FOR CHILDREN UNDER 3. Build your Thomas and Friends collection one friend at a time! 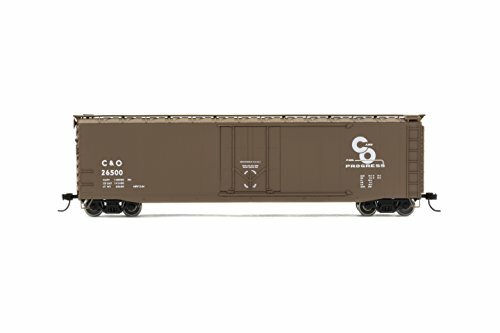 Lionel Seaboard Boxcar features legendary detailing and Seaboard's hard-to-miss color scheme. 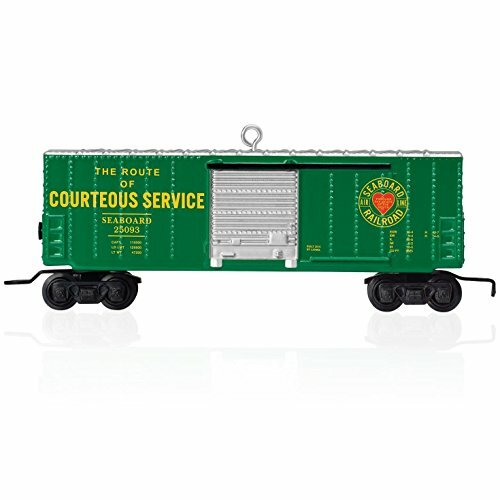 This bright green boxcar sports the famous Seaboard red heart logo and boasts its lineage in The Route of Courteous Service. 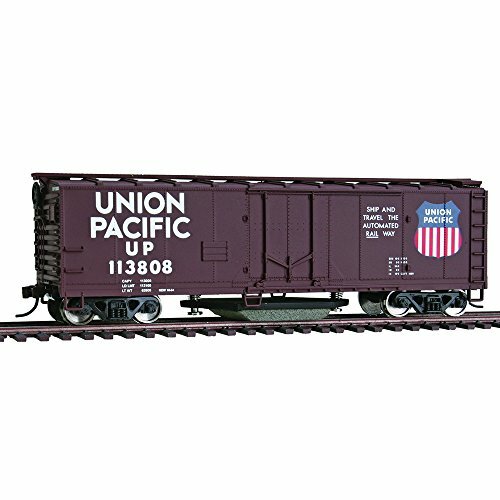 Old-Time Box Car - UNION PACIFIC (Furniture Car) - HO Scale. This early steam era box car looks great with our new 4-4-0 American steam locomotive, and other early steam era locomotives. 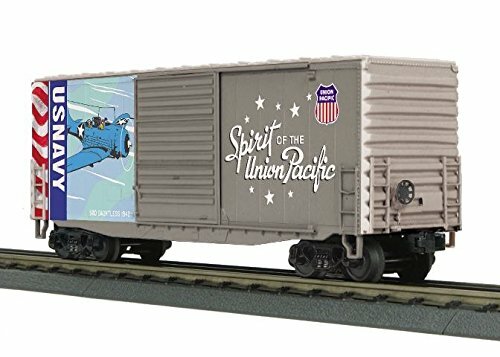 40' Box Car - MISSOURI PACIFIC "HERBIE" - HO Scale. Silver Series rolling stock features: blackened metal wheels, body mounted couplers, non-magnetic axles. 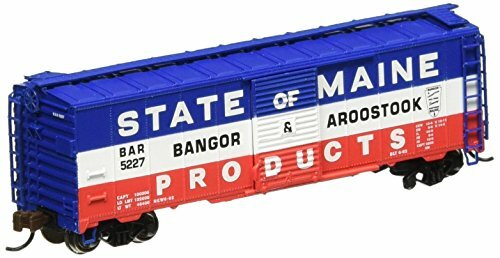 BANGOR & AROOSTOOK Features include: NMRA profile wheels needle-point axles body-mounted E-Z Mate(c) Mark II couplers WARNING: CHOKING HAZARD - SMALL PARTS! NOT INTENDED FOR CHILDREN UNDER 3. 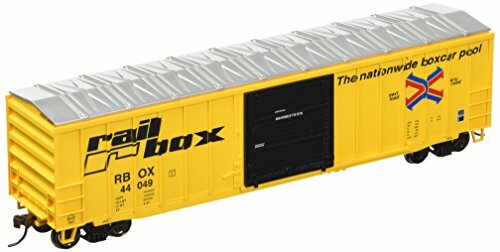 ACF 50'6" Outside Braced Sliding Door Box Car - RAIL BOX #44049 - HO Scale. Features Operating sliding doors, 100-ton roller-bearing trucks, metal wheels, detailed underframe, optional tack boards includes and e-Z Mate Mark II body mounted couplers. What is rolling stock - it is the wheeled vehicles collectively used on a railway, including the locomotives, passenger coaches, freight wagons, and more. 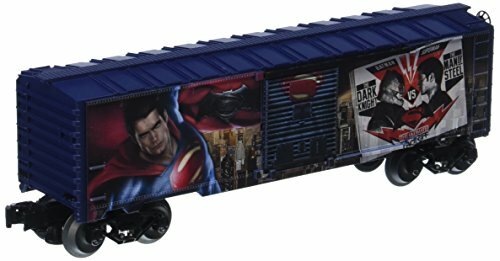 Well Lionel offers an very wide assortment of rolling stock, for the collector to change out your layout. Get yours today. 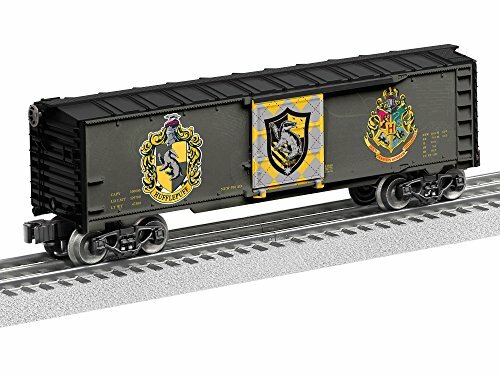 CANADIAN PACIFIC RAIL Silver Series(c) rolling stock features: blackened metal wheels body mounted couplers non-magnetic axles WARNING: CHOKING HAZARD - SMALL PARTS! NOT INTENDED FOR CHILDREN UNDER 3. 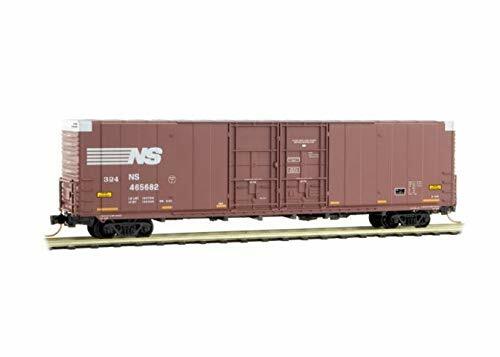 NORFOLK SOUTHERN This 60' excess height box car with double plug doors and rivet sides is brown with white lettering and runs on Barber Roller Bearing trucks. Built by Thrall in April 1969, this double-plug door boxcar was built for N&W before later becoming part of Norfolk Southern series 465600-465853. At 7000 cubic feet, this hi-cubic capacity car was used to carry lightweight but bulky commodities such as auto parts. WARNING: CHOKING HAZARD - SMALL PARTS! NOT INTENDED FOR CHILDREN UNDER 3. MADE IN THE USA TIME TO CELEBRATE! Who would have thought back in 1928 that a car toon mouse would have such an impact and become one of the most recognizable figures worldwide? Walt Disney did. Join Lionel this fall as we celebrate "The True Original", with special items dedicated to Mickey Mouse's 90th Anniversary. 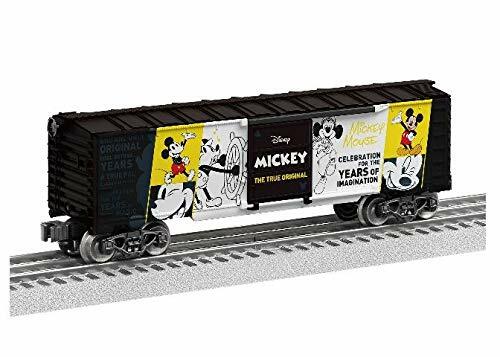 To help celebrate, we are offering a fun Ready-To-Run set honoring the mouse that started it all; as well as separate-sale rolling stock and billboards to match! If you are a Mickey Mouse fan, you are not going to want to miss this party! Items are limited, so join the celebration and order yours today! Features: Made in USA of US and Imported Parts Die-cast metal spring trucks Operating couplers Metal frame Opening doors Product Specifications: Gauge: O Gauge Dimensions: 10 1/2" Minimum Curve: O27 WARNING: CHOKING HAZARD - SMALL PARTS! NOT INTENDED FOR CHILDREN UNDER 3.